Rehabilitative Solutions is an extension of the traditional elements of physical therapy, the purpose of which is to return the patient or athlete to highly complex movement patterns that are involved in athletics and daily life. 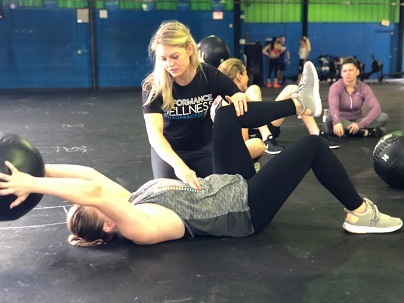 At Performance and Wellness Chiropractic we used a systems based approach to treat the various dysfunctions that occur throughout daily life and sport. We all have the same basic design and body structure. Everyones joints work in a very similar fashion. The rules that govern a stable shoulder while vaulting in gymnasitcs are the same for the bench press, how you organize your shoulders to sit in lotus position is the same way you organize your shoulders when typing on the computer at work. The rehabilitave solutions we offer at Performance and Wellness Chiropractic will allow you to regain your mobility, ability, and life so that you may perform at the highest level or simply live pain free.